The three geese position themselves like sentinels, heads facing away from each other, their plump rumps fencing in the chicks. A fourth sleeps, off duty for the morning, I suppose. 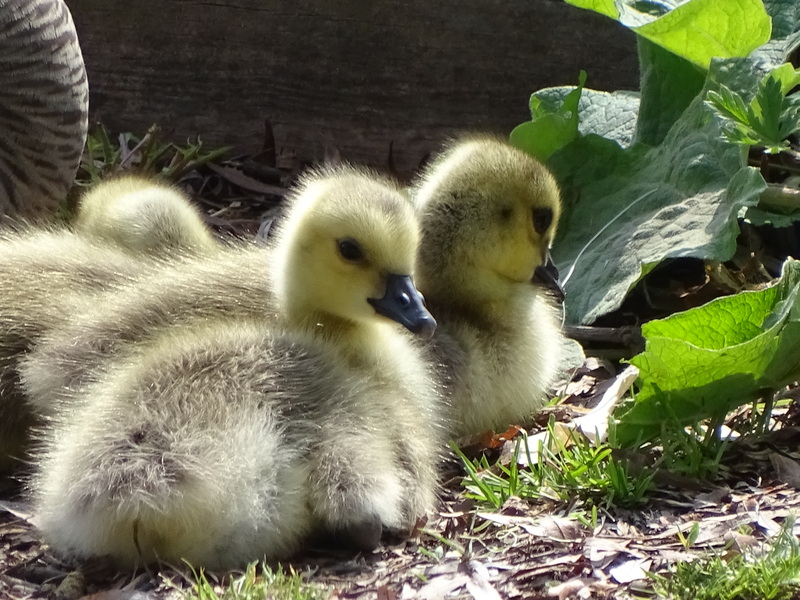 Inside the feathered fence, a clutch of goslings poke at leaves and each other. I watch them for a while, a safe enough distance to keep the sentinels from raising an alarm. Sometimes I simply stare, and sometimes I raise my camera, focusing the lens so tightly that I can imagine reaching out to tousle the chicks’ downy heads. I take wide shots, showing the whole community nestled on the corner of their pier. I zoom in, capturing one inquisitive baby poking his beak in the leaf litter. Squinting through the tiny viewfinder, I compose the scene in front of me from a variety of angles, sometimes pressing the shutter and freezing the image forever. Sometimes, I move on, letting the scene slip away into memory. As the camera works, my mind meanders, letting the images tell me a story. 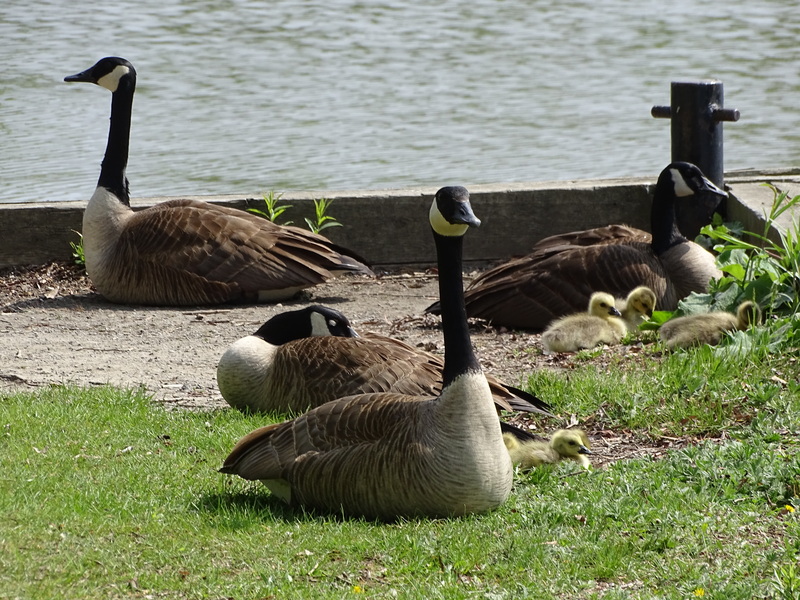 These four geese, I think, have banded together to protect the babies. Four adults provide four solid corners and one even gets to nap. Smart geese. Nice community. Recently I bought a new camera. It’s a Sony Cybershot DSC-H400, which sounds complicated but isn’t really. In fact, I bought the camera because it is beautifully uncomplicated and yet has expansive capacity. It’s a point and shoot digital with an attached zoom lens of remarkable scope, allowing me to shoot wide angles, tight close ups from far distances and everything else in between. If you want the specs, Google the camera. I’m not interested enough to explain them. And therein was the discovery I made when I first learned cameras like these existed. I realized something about myself in buying this camera, which is the fifth I’ve owned in my life (counting my two smart phones, which I’d rather use for composing images than texts). I love photography because it helps me make sense out of life. I love to write for the same reason. With both activities, I turn ideas and scenes this way and that, using either a lens or a pen to sort through what’s happening, until finally, I see. Although I learned the technical side of photography through the years – everything from the basics of shutter speeds and aperture settings to the chemistry of dark room developing – I am no longer interested in honing those skills to make a good photo. I’m inclined to let the camera do the complex work, freeing me to concentrate on what I’m really interested in: composing the best story a photo can tell. My first camera was a Kodak Pocket Instamatic, a Christmas gift from my Dad. 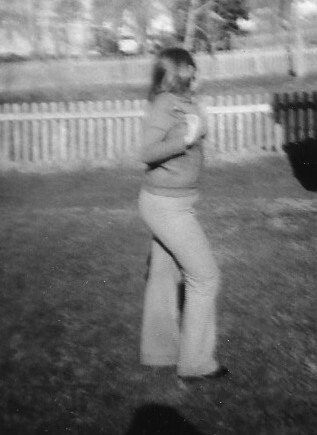 When I think of that camera now, the images that come to mind are of my friend Anne and I cavorting in her backyard as if we were models on a photo shoot. I was 12, Anne, a year younger, but in our minds we were glamorous superstars, vamping for the camera and each other. The photos are blurry but my memory of our saucy exuberance that day is sharp. Where have they gone, those two little girls who strutted their imaginary stuff with such abandon? But thanks to a couple of grainy photographs, the evidence of our impudence remains. We really had that in us. Perhaps we still do. 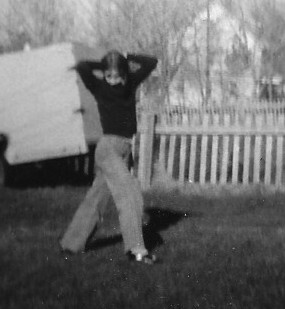 Years ago, making those silly photos in Anne’s backyard, I had no idea what was really going on for me. I thought we were just having fun. And we were. But something else was happening. I was composing a story. And there was truth in it.